A tower-top preamplifier used in conjunction with a lightweight, movable infrastructure greatly improves disaster communications. In 2005, the Polk County (Fla.) Department of Public Safety responded to Hancock County, Miss., following Hurricane Katrina. Polk County’s system was the only one on the air for days, trying to cover a county of about 650 square miles. Mobile radio coverage was acceptable, but portable radio coverage was not. This incident and a number of other disaster deployments over the last five years emphasized a glaring deficiency in the department’s disaster communications equipment — the lack of a tower-top preamplifier. We previously had considered such a preamplifier as part of our design of a mobile unit, but the tower-top units are designed to be mounted on fixed infrastructure. They are large and heavy, with rectangular stainless-steel NEMA enclosures and wind-loading figures far in excess of the capabilities of the 100-foot telescoping tower on our Aluma Tower trailer. The addition of a tower-top preamplifier on a 100-foot tower would not provide a significant benefit. Then in early 2007, the TX/RX division of Bird Technologies and Motorola pulled off a small miracle — much to their and my surprise. After one of my scathing commentaries on systems capabilities, Motorola account manager Mike Harrington told me that TX/RX was developing a tower-top preamplifier. Harrington offered to introduce me to the division’s engineering manager, Ken Pokigo, to discuss my department’s disaster-communications needs. In February 2007, Harrington and I paid a visit to the TX/RX plant in Angola, N.Y. I was treated to a pleasant reception and quick tour of the facility. After some discussion with the engineering manager, we went to a conference room. There I was introduced to Bird and TX/RX senior managers, as well as to the the entire TX/RX engineering staff, who were gathered — much to my surprise — for my presentation. Previously I had offered to do a presentation for the engineering staff, but nothing more had been said on the subject. I did have a PowerPoint presentation on my laptop and pulled it up, hoping no one picked up on my confusion. Much to my chagrin, I realized a presentation for public-safety first responders does not translate well to the audience I was facing. However, the Bird and TX/RX employees took it in stride and still grasped the issues public-safety agencies face in disasters and in particular the problem I had brought to them. We spent the following day discussing the specific criteria we were looking to improve, and I received an introduction to the new tower-top preamplifier they were about to release. While about one-tenth the size of what I was familiar with, it was still in the stainless-steel NEMA container, which weighs about 25 pounds — still too heavy for the transportable infrastructure application I had in mind. We examined the prototype: the components inside the NEMA box were mounted to an upright board affixed to the base of the enclosure. Then we noticed nearby racks of gold-flecked aluminum tubing that marked the TX/RX combiner cavities. I looked at them, then back at the prototype, and asked whether they could mount the components on a round aluminum base and put it in a combiner tube. That would reduce both weight and wind loading. There was several minutes of silence accompanied by heads swiveling and eyes blinking as the engineers pondered the question and the ramifications. Such a move would change the electrical properties and require significant analysis. We spent another hour or so discussing how it could be mounted and whether it would need all of the features included in their prototype. We then moved on, and I was shown other products they were working on. She pulled from a box a round aluminum tube with two antenna connections on the bottom and handed it to me. It was the prototype for a new version of the device, and TX/RX was planning on announcing it at the conference. I was holding all 11 pounds of a tower-top preamplifier with virtually no wind loading that could be used on lightweight, transportable infrastructure in disasters. I was overwhelmed. Not only had they looked into it, they had spent considerable time and effort developing it into a deliverable product — with little certainty of a large market. I have to tell you that after 25 years in the communications arena and 35-plus in public safety, I have never been excited by the “boxes” before. I was excited about this one. In a disaster, any improvement, no matter how small, is a big deal. Little did I know just how big a deal it was to become. Six weeks later, in late 2007 I had the prototype in hand and we were able to schedule some actual field-testing. None of the engineers I had talked to prior had felt that a tower-top preamplifier would render a significant increase in portable talk-in range, given a 100-foot tower. Even TX/RX had some uncertainty regarding how much improvement there may be. We ran repeated range testing throughout 2008, in different configurations and using various Motorola portable radios. We worked off of our five-channel Intellipeater system and on a conventional 800 MHz Quantar repeater installed in our AlumaTower trailer. Our field testing showed increases between 30% and 51%, with an average increase of 35%. A number of these units have already been sold within Florida to improve disaster-response communications. Several other applications have now been identified where this piece of equipment provides a perfect fit. In public-safety operations in general, and in a disaster in particular, effective communications often mean the difference between life and death. 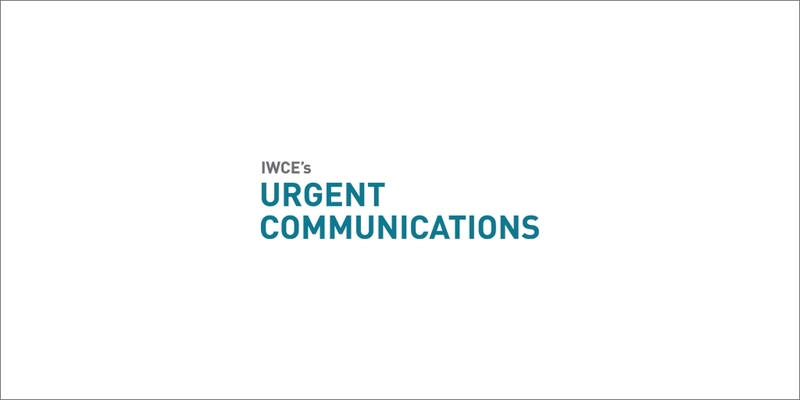 A 35% range increase in a disaster communications system can be far more than a minor miracle for both the victims and the responders. When good people in good organizations collaborate on behalf of a customer you never know how it will turn out. Ben Holycross is the radio systems manager for Polk County, Fla.. He has more than 35 years in public safety, with the last 25 years in communications.